Tea (the event) is the best thing that the English have invented. 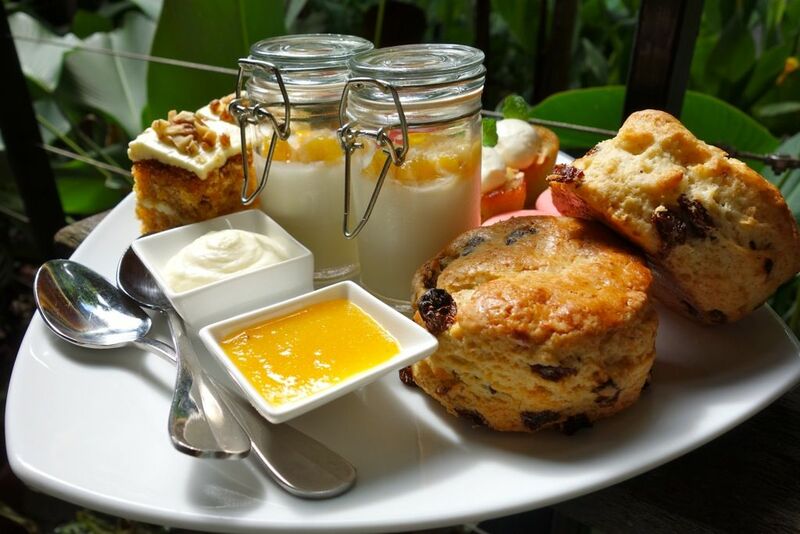 Nothing beats whiling the afternoon away in the garden with buttery and crusty scones, clotted cream and jam. 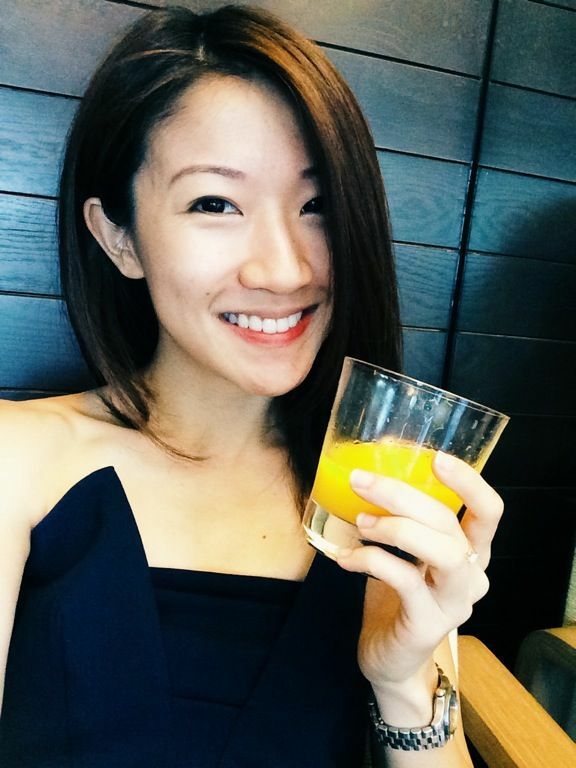 Best place to do it in Singapore? 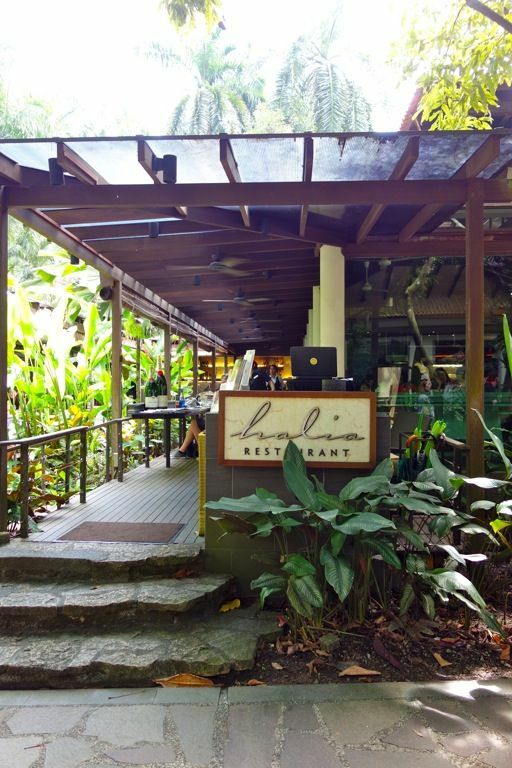 Try The Halia at Singapore Botanic Gardens, a romantic and picturesque restaurant tucked away in in the lush foliage centrally located in town. What was supposed to be a stroll in the park turned out to be an amazing race when the GPS directed me to the wrong location. 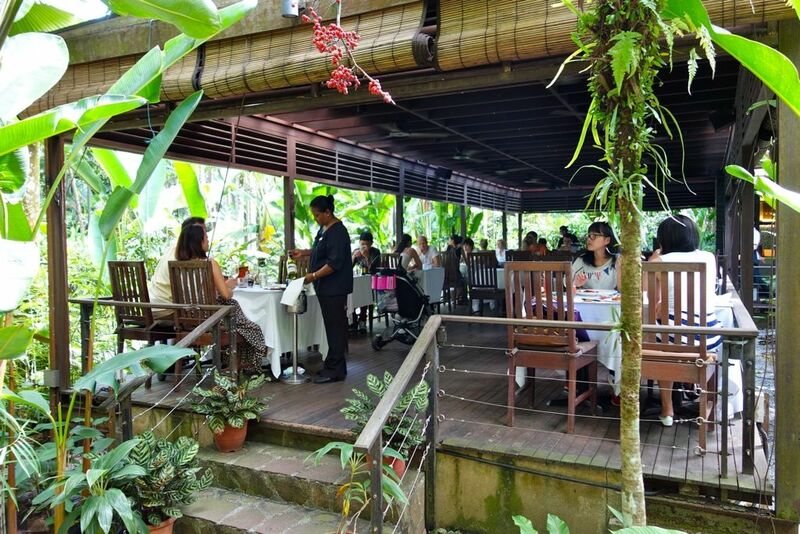 Halia is situated at the Ginger Garden, which is nearer to the Tanglin gate and not the Cluny one. The Halia Tea Set (for 2). Individual portions come in the tiers too! 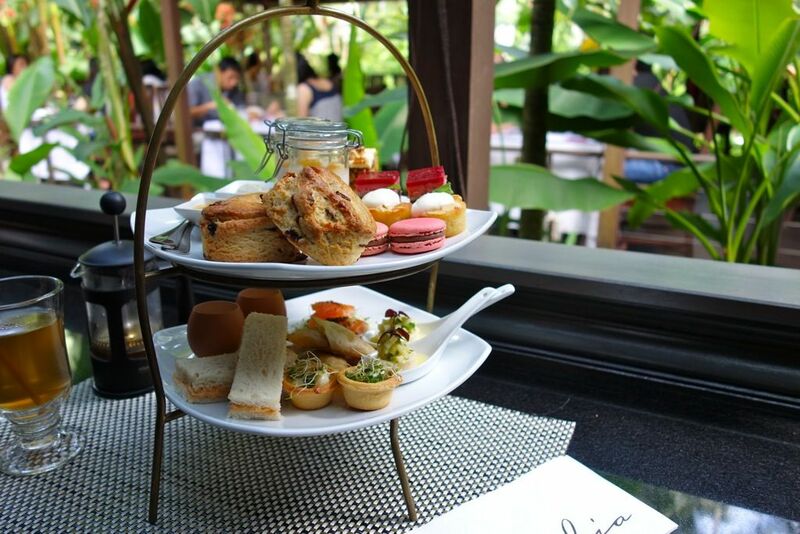 There's something romantic and decadent about eating off a tiered tea set don't you think? I'm a sucker for pretty things i guess but it adds to the overall experience of a meal, as do ambience and service. Always start with the scone when doing tea. It kind of sets the tone for tea (that and you really should eat it when it's hot) and i knew i was in for a great time when i bit into the crusty and dense pastry slathered with chantilly cream and a tinge of orange ginger jam. There's a nice balance of sweet and savory bites in the tea set, which i alternated between. It's a quirk that i have and i always start with something sweet. From the savory plate (CW)- House-cured salmon, pickled cucumber and toasted rye. Smoked trout parfait, cucumber, apple and lime that was presented as a piece of tofu. Love the smokiness followed by the refreshingly sweet apple. It was certainly a surprise. The Gorgonzola and caramelized onion quiche had an absolutely buttery tart with a light blue cheese filling. This should be acceptable by normal human standards (i go for really strong blue). 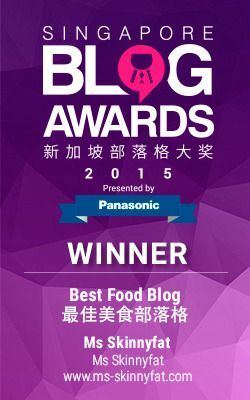 There's also the poached chicken and smoked paprika finger sandwich and the meh-ish Wagyu beef rendang samosa. Fennel custard with parmesan and almond in an egg shell was a creamy and nutty affair. 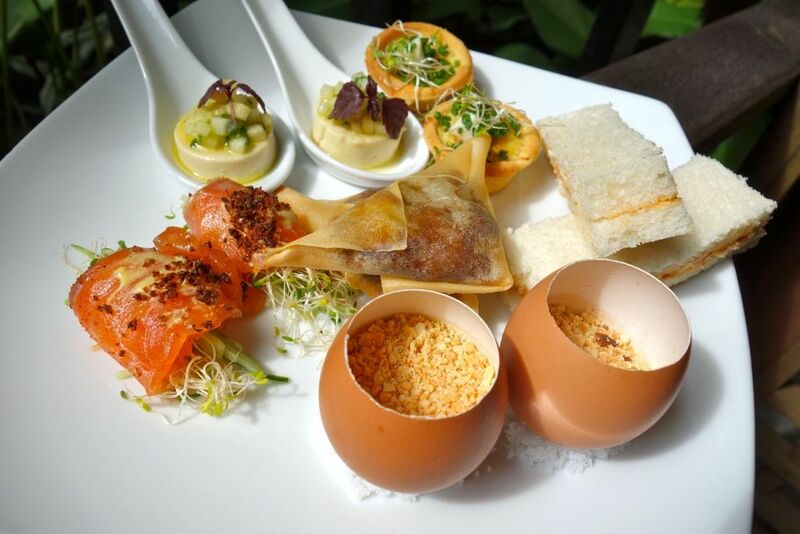 The sweet plate consists of the delicious scones, the towering coconut panna cotta with mango, passion fuit and lychee. I quite enjoyed the moist carrot cake with crème cheese icing and certainly wouldn't mind seconds. The toasted Walnut Quince and Almond cake with crème fraiche contained the stewed fruit from the pear family, which according to Chef Peter Rollinson, the quince had been given a 24h treatment to give it that softness. New Opera Chocolate sponge layered with raspberry buttercream (new flavor and hence the 'New' Opera). I was impressed by the Ginger flower macaroon which had quite the perfect candy shell and slightly chewy center. For $28 per individual set, I have to say this is a steal for tea. I'll definitely recommend this for a tea party with the girls! Think S would love this too. 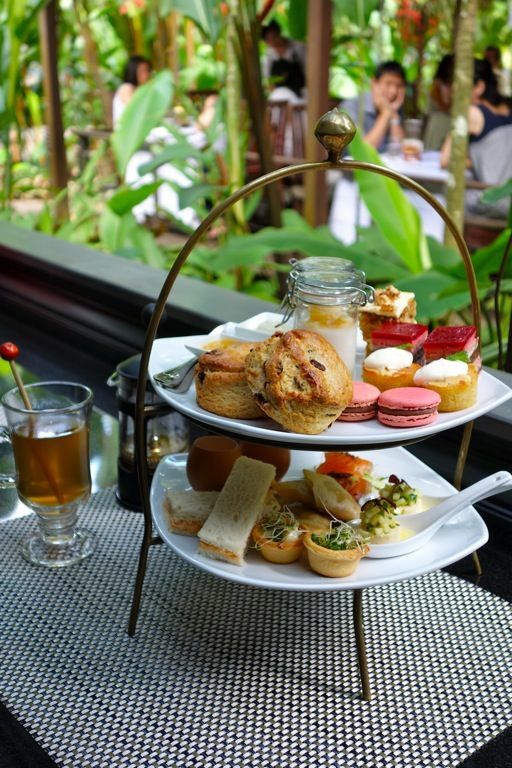 :) Don't miss out on this lovely tea at The Halia, Singapore Botanic Gardens which is available every weekend and Public Holiday from 3 - 5pm. Reservations are not accepted for brunch and tea service though.